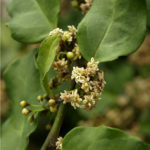 Amborella trichopoda is a small, tropical sprawling shrub or small tree, up to 26 feet (8 m) high, endemic to New Caledonia. 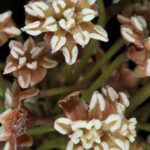 It is the only species in the genus Amborella, which is the only member of the family Amborellaceae. 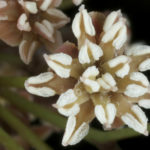 The evergreen leaves are small, white to yellow and up to 4 inches (10 cm) long. 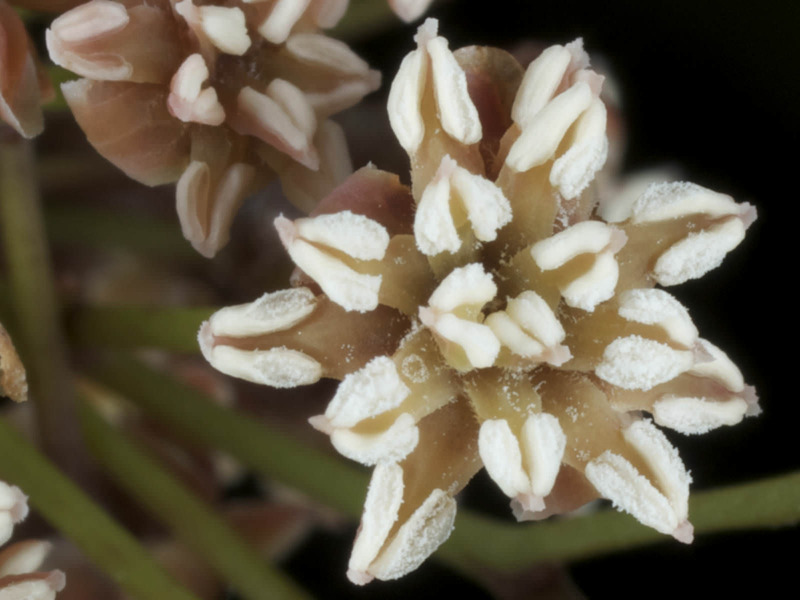 The small, creamy white, inconspicuous flowers are arranged in terminal inflorescences of 2 to 30 flowers, up to 0.16 inches (4 mm) in diameter, with 7 or 8 tepals. Amborella is a rare understory shrub or small tree found only on the island of New Caledonia. 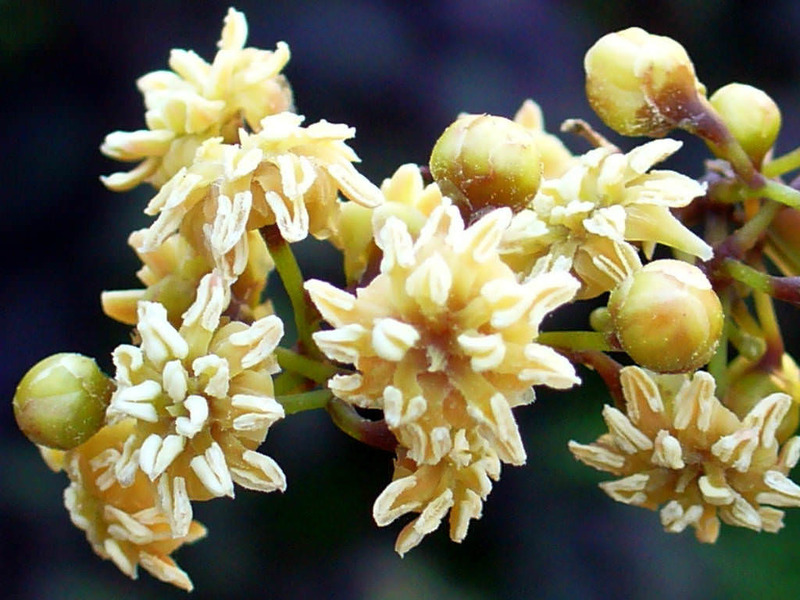 Amborella trichopoda is the only species in the genus, and is the only member of the family Amborellaceae. 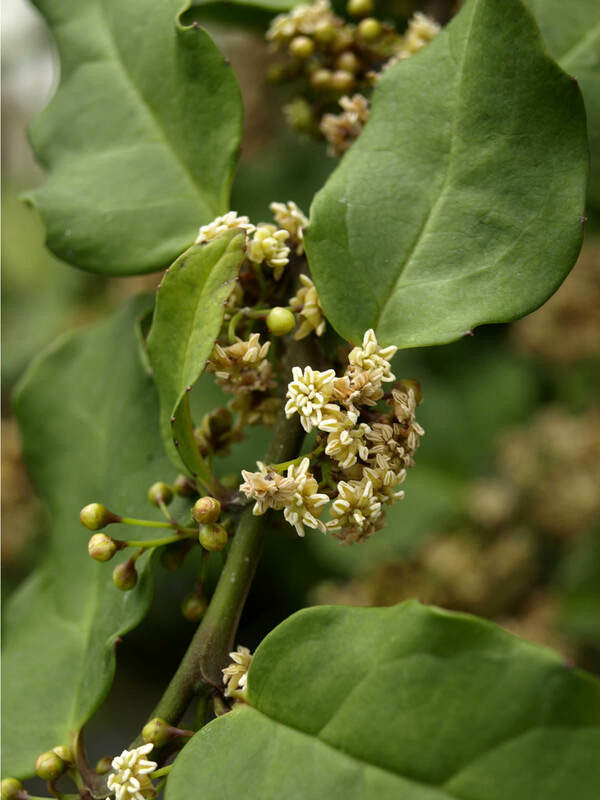 It was known for some time already, that Amborella wood has a peculiar character – it lacks the vessels characteristic of most flowering plants. 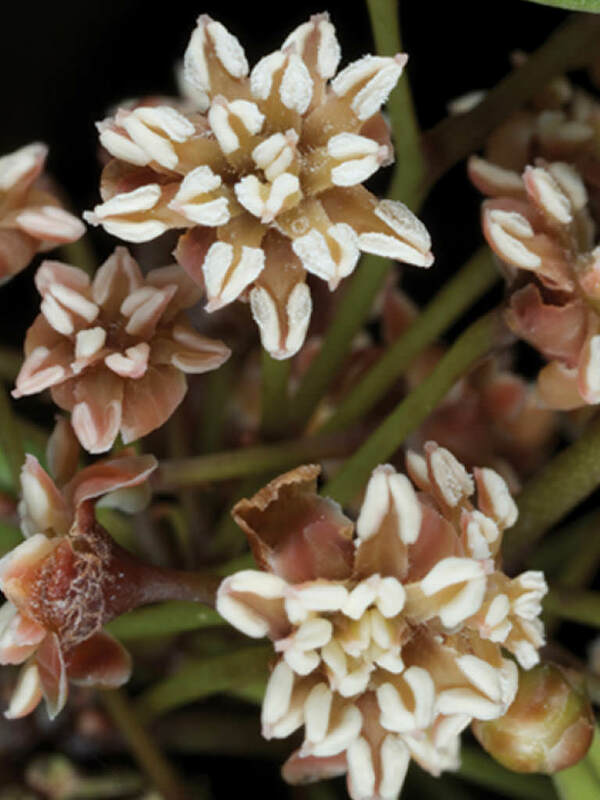 This lack of vessels is a trait that is more typically associated with conifers, and is therefore thought to be a primitive trait in the evolution of plants in general. Endemic to the main island Grande Terre of New Caledonia.